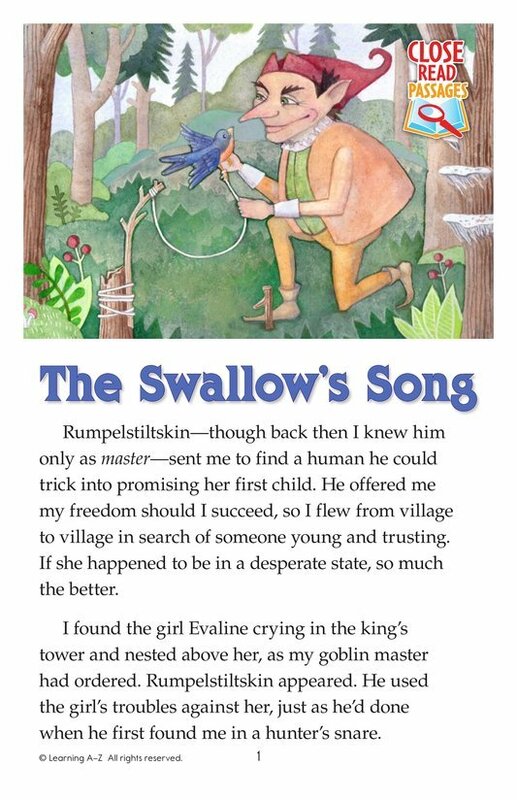 In Rumpelstiltskin, a swallow builds its nest in the tower where Evaline is held prisoner. 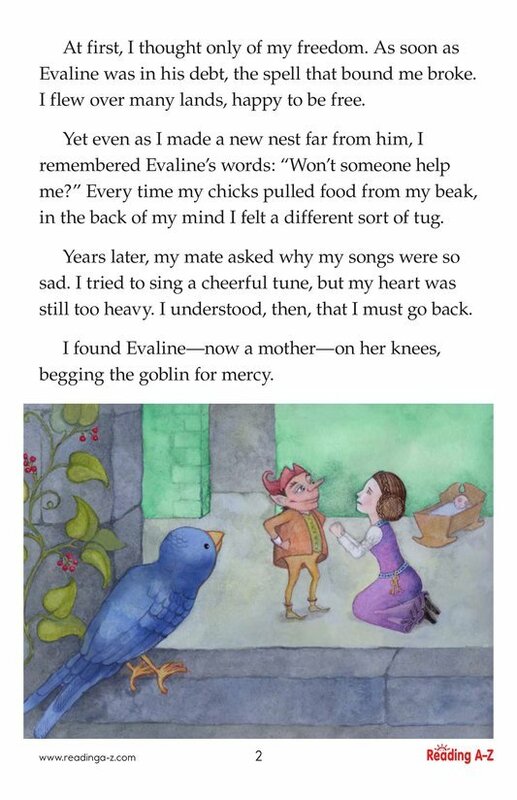 What if the swallow was working with Rumpelstiltskin to trick Evaline into giving up her firstborn child? 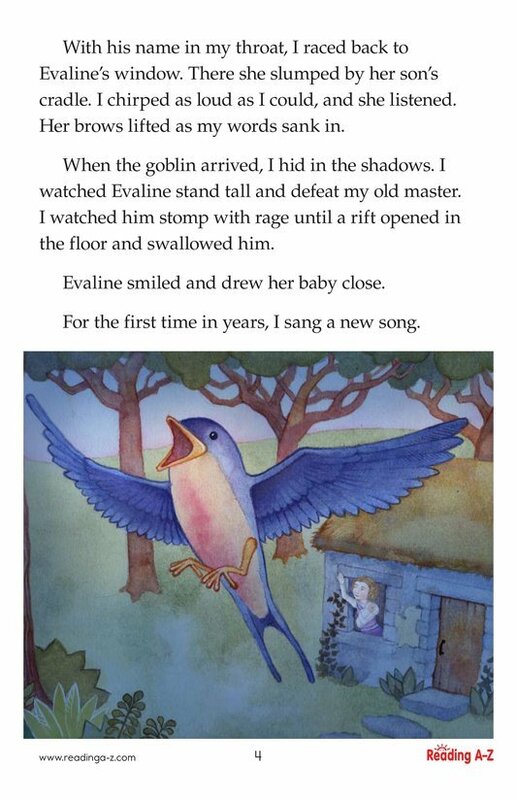 What if the swallow felt guilty about it? 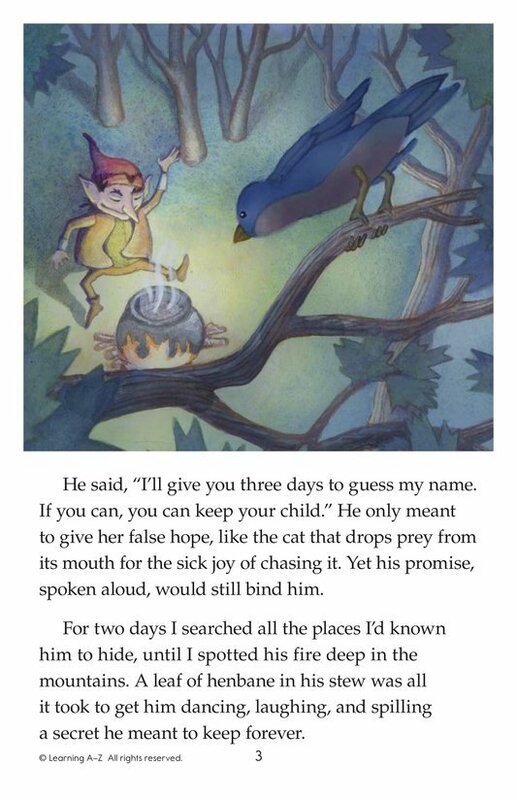 What if the swallow figured out a way to trick Rumpelstiltskin and save the day?